Welcome to our custom vacation page. Many of our clients, especially large family groups, frequently have a variety of different requirements. May it be due to age, physical ability or different needs when it comes adrenaline levels, we are dedicated to finding exactly the right combination of trips and accommodation to ensure an unrivaled experience. We are located in Cabarete and strongly advise staying in or near the town if possible. Cabarete is the best location for access to tours and is a nice, laid back beach town with everything at hand. Accommodation. This is the first thing we arrange. 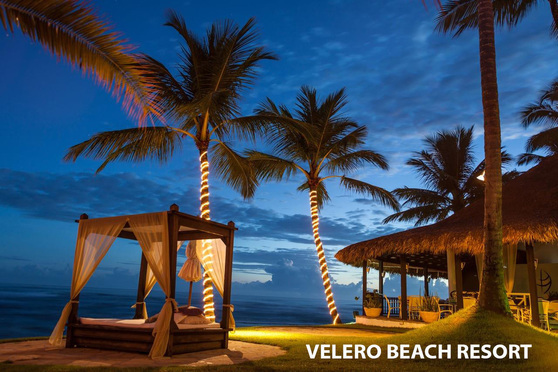 10 years of experience have taught us that our favorite hotel is the Velero Beach Resort, it offers great value for the price and is extremely well located. Within easy reach of the restaurants and bars on the beach, supermarkets, Iguana Mama etc. but it is also quiet at night. Check out their website and ask about discounted rates when booking via Iguana Mama. If an oceanfront condo is more to your liking we highly recommend Sea Lane Vacation Rentals, also brilliantly located by way of an easy beach stroll to all of Cabarete's amenities yet offers lovely silent nights. 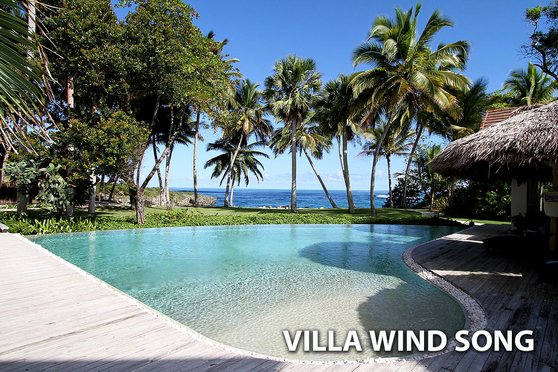 For those preferring an upscale private family home we have teamed up with Villa Wind Song. In our opinion one of the finest homes on the island and perfect for those seeking exclusivity and privacy. Please click on the links or photos to visit the villa's website and be prepared to be blown away by this incredible home. .Villa Wind Song is also available for direct rentals, please contact us for more information. Once your accommodations have been arranged we will begin putting a tour package together. We like to include airport transfers, accommodation and tours to give you the best possible value.